To journalists' questions after the victory against the Mavs said he did not know the answer. The president of the Spurs wants him "until he wants". 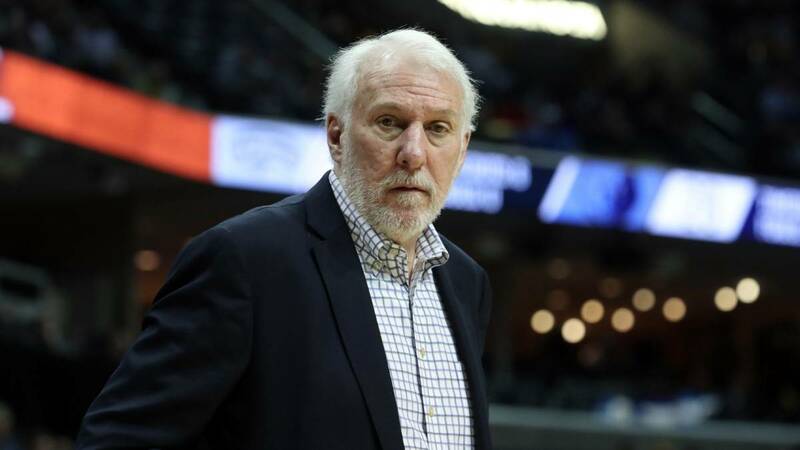 Gregg Popovich has been leading the San Antonio Spurs for more than two decades. In that time they have lived their best seasons, all in playoffs and all over 50% and, of course, with five rings of NBA champions. You can consider the Spurs as the best team of the 21st century, of course the most regular in success, and a huge part of the blame is on their coach. But as is normal after so long people wonder how long it will last this story. One got to speculate at the time that with the retreat of Tim Duncan also it would leave Popovich, something that in the end did not happen. After Wednesday's victory in Dallas, the journalists questioned him again on this matter: "I do not know the answer," he answered. It seems that you do not want to get wet, you may not even know for sure at this stage of the season. Also said that has been talking for a long time on this issue with the president of the franchise, RC Buford, for whom there is no doubt until when he has to continue leading the team: "He will train us until he wants to train us" . It is the least you can do with one of the best coaches in history, in addition to the most important man who has had this franchise with Duncan. Where we will see him for sure he is on the bench of the US national team, which he will direct in the World Cup this year and in the Olympic Games of Tokyo 2020222222. At the end of the month Popovich will turn 70 and will become the fourth coach who is in active past his 70th birthday. At the moment it has the Spurs sixth in the West with a record of 26-20 and only one victory in third place. All this after a very bad start of the course and in summer were three key pieces of the template. On the one hand the best player they had, Kawhi Leonard, and on the other two historic four-time champions with the Spurs jersey, Tony Parker (Hornets) and Manu Ginobili (retired) .